These players have either already signed with the Dolphins or have agreed to a deal. They all played during the 2005 season for some other NFL team. 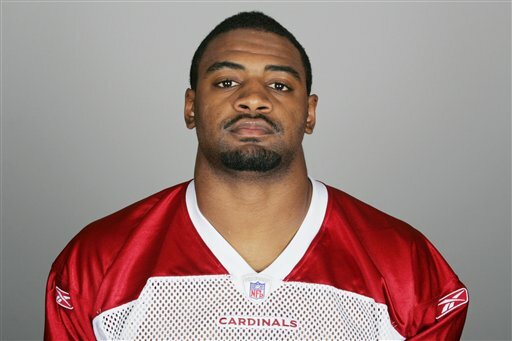 7 Mar 2010: Karlos Dansby has agreed to terms with the Dolphins on a 5 year, $43 million contract. Dansby is generally regarded to be one of the best linebackers available in free agency this year. With the departure of Akin Ayodele and the inconsistent play of Reggie Torbor and Channing Crowder last year, the Dolphins are very thin at inside linebacker and went after the best one they could find. He has been a good, solid player for the Cardinals and was given the franchise tag by Arizona for each of the last two years, but he has never made the Pro-Bowl and has been accused of having a questionable work ethic. These players have signed with the Dolphins, but did not play in the NFL last year. They may have come from the CFL, NFLE, the Arena League or they may have been out of football entirely. The following players have visited or talked to the Dolphins, but have not signed a contract as yet. 8 Mar 2010: Re-signed with the Steelers. The Dolphins were hoping to be able to sign Clark to take the place of Gibril Wilson after they lost out on the bidding for Antrel Rolle. The Dolphins wined and dined Clark on Sunday evening and Monday, but Clark apparently decided that he would rather stay in Pittsburgh and signed a 4 year deal with the Steelers on Monday evening, following his visit with the Dolphins. The Dolphins are reported to have an interest in the following players, but no deals or visits have been reported yet. These players were with the team last season and have been re-signed for the 2009 season. An unrestricted free agent may sign with any team in the NFL, unless the Dolphins place the franchise tag on them. When considering the possibility that they may re-sign with the Dolphins, there are two things to consider: Their value to the Dolphins and their potential value to another team. 5 Mar 2010: Declared an unrestricted free agent. 5 Mar 2010: Declared an unrestricted free agent. Ferguson has been suspended for 8 games in the 2010 season for violating the league's drug policy on performance enhancing drugs. This, of course, dramatically lessens the possibility that the Dolphins will re-sign him. Restricted free agents must be offered a contract by the Dolphins in order to retain their rights. If the Dolphins do offer them a contract, any team trying to sign them away from the Dolphins must offer a bigger contract and if the player signs with that team, must provide compensation to the Dolphins in the form of a draft pick. Also, the Dolphins have the right to match any offer made to their restricted free agents and keep them.